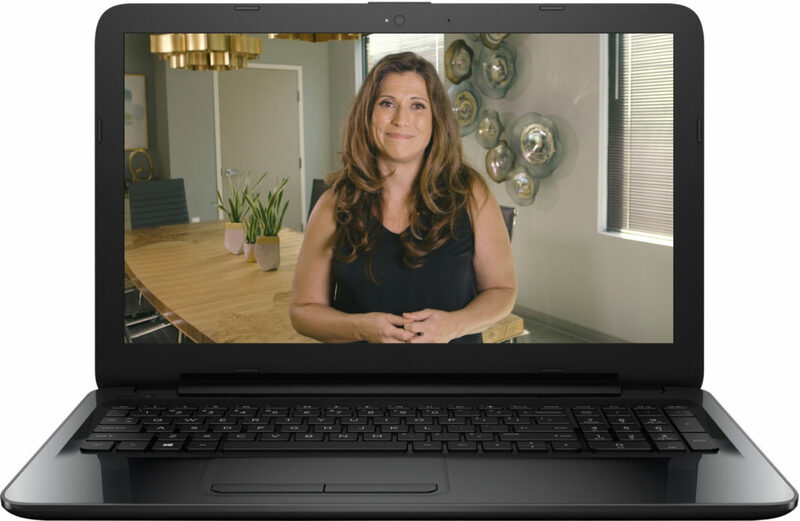 Learn everything you need to know about the Autoimmune Protocol (AIP) from award-winning public speaker, New York Times bestselling author and world-renowned health expert, Dr. Sarah Ballantyne, PhD, in this 6-week video-based online course! The next session begins Monday, September 9th, 2019! Get on the waitlist for The AIP Lecture Series and save your spot! Enrollment opens July 1st, 2019. The Autoimmune Protocol Lecture Series is a 6-week video-based, self-directed intensive online course that will teach you the scientific foundation for the diet and lifestyle tenets of the Autoimmune Protocol, plus provide tons of tips and strategies for implementation, refinement and troubleshooting! support and guidance from Dr. Sarah Ballantyne! The AIP Lecture Series doesn’t shy away from teaching important scientific concepts. 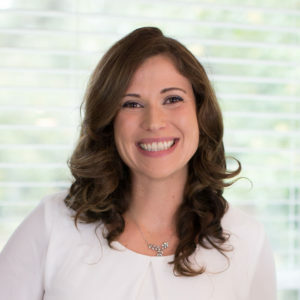 Dr. Sarah Ballantyne, PhD firmly believes that understanding how foods affect our health at the cellular level is an essential motivator for making positive and lasting change, as well as being critical to the self-discovery processes of finding individual tolerance and reintroduction. But, you don’t need a science background to take this course! 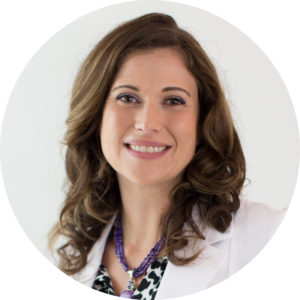 Dr. Sarah explains the scientific evidence for each facet of the Autoimmune Protocol in her signature approachable style using accessible language and visual guides. If you enjoy Dr. Sarah’s books or articles on this website, you’ll love this course! The Ultimate Support for Your AIP Journey. Enrollment begins July 1st, 2019. 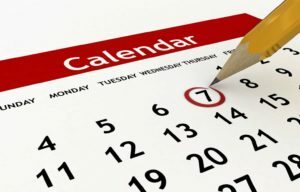 Get on the waitlist for The AIP Lecture Series and save your spot! The next session begins September 9th, 2019! In an industry full of guru-wanna-be’s and personalities pushing baseless miracle cures, I appreciate that you are recommending evidence based diet and lifestyle steps that do not require the purchase of special products or services. No gimmicks. Just real food and lifestyle habit recommendations based on science. Thank you!! This is a super, information packed course with tons of practical information. I am loving this AIP course and all the information I am receiving. The amount of work you have put into this is amazing and greatly, GREATLY, appreciated. Thank you so much. Taking this course gives me the knowledge I need to understand why my body is doing what it is doing and reinforces my determination to continue along this dietary path to heal it. Invaluable! I am loving this course! Having the details is more motivating and helping me stick to AIP. I am actually thinking about what is happening in my body, not just how it feels. This online learning resource and your teaching style are beyond amazing! I am so excited about what I am learning! This is way beyond what I was expecting. You are so awesome. I’ve learned more useful information with a direct and immediate application to health in one 15+ minute video from you, than a 20-year stint of clinic and doctor office visits were able to provide. The Autoimmune Protocol, or AIP, is a science-based diet and lifestyle intervention for autoimmune disease. In a recent clinical trial in patients with Inflammatory Bowel Disease, 73% of participants were in full clinical remission after following the AIP for only six weeks, and they experienced continued improvement over the entire course of the study. The Autoimmune Protocol is a complementary approach to chronic disease management focused on providing the body with the nutritional resources required for immune regulation and tissue healing while removing inflammatory stimuli from both diet and lifestyle. The AIP diet provides balanced and complete nutrition while avoiding processed and refined foods and empty calories. The AIP lifestyle encourages sufficient sleep, stress management and activity as these are important immune modulators. As is always the case with chronic disease, consult with your physician before beginning this or any other regimen, or altering medications or supplements. You have been a life saver throughout my illness to wellness journey. Literally, had it not been for you and your expertise in the autoimmune disease arena, I may not have been here to testify how incredible the work you do is. When I learned you were producing the lecture series, I jumped at the chance to learn more so that I can better share the lifesaving knowledge and experience with my family and friends. It’s been amazing! It has been a true enlightening pleasure watching your series and being a part of the Facebook community and learning so much, I can’t thank you enough!! Does anyone else just want to keep this lecture series going forever as much as I do? It’s been so incredibly eye-opening and helpful. Quite honestly, I am feeling more energetic and alert at the end of this 6 weeks. Thank you so much Dr Sarah Ballantyne. You have been a gift in my life! I do believe I’m off to a great start because of your course, your caring, your time and your positive uplifting support. Thank you so much for helping me (and likely many others here) realize that we are not alone in these reactions! It creates a sense of not feeling alone in this journey and feeling a little less crazy. Because of you, I finally am beginning to feel like myself again (it’s been 22 years! ), and I am hopeful that I have a long term blueprint to sustained health. THANK YOU! Who Can Benefit from The AIP Lecture Series? This course is geared at all levels, from the person completely new to the idea of diet and lifestyle changes to heal from chronic illness, to someone who has dabbled in Paleo or AIP but had trouble sticking to it in the past, to the Autoimmune Protocol veteran who already has seen great results, to the caregiver supporting family or friends with autoimmune disease, to the practitioner looking to begin their advanced learning of the Autoimmune Protocol. You can benefit from the information presented in this course whether you’re in the early phases of diagnosis, are looking to reduce disease risk due to a strong family history, or have battled autoimmune disease or other chronic illness for years. Dr. Sarah, I cannot thank you enough for this amazing AIP course! It has been life changing for me and my entire family. Thank you so much for all your hard work and dedication, you are such an inspiration and I am so grateful for all the knowledge that you have shared with me so that I can help and motivate my loved ones to be better, healthier and happier every day. I would definitely recommend this course to anyone who suffers from an autoimmune disease and to family members who want to help their loved ones. The Autoimmune Lecture Series more than met my expectations. While not new to AIP, I learned how I can further improve my health by focusing on nutritional density, sleep quality and other lifestyle changes. I also have a better understanding of how different foods affect my body. The best part is I can go through the course again at a slower pace to reinforce the material and obtain what I missed the first time. Dr. Sarah Ballantyne has delivered an exceptional course and I highly recommend this to anyone looking to improve their health. There is something for everyone. Thank you Dr. Sarah for you sharing your incredible knowledge, dedication and drive. It was extremely helpful and worth the investment. I loved the course; the books, are very informative, the format of the course with the videos and homework was conducive to studying hard, the quiz at the end was fun and rewarding. I like that the course has a varying degree of difficulty. Dr. Ballantyne has a talent for making complicated concepts easier to digest. I look forward to going back to the books for more in-depth understanding. I like the format of the course especially that some of the concepts were repeated at a different angle, forward and backward to assist learning. From basic concepts, to the more esoteric or illusive, it all comes together in this forum. You will leave this course with a new array of tools and the necessary blueprint for building a sustainable and lifelong approach to personal health – beyond AIP. THANK YOU Dr. Sarah Ballantyne! Dr. Sarah Ballantyne, PhD, is the world’s leading expert on the Autoimmune Protocol. After using it successfully to mitigate four autoimmune diseases of her own, Dr. Sarah refined and popularized the protocol by writing about it on this website and in her first three books, The Paleo Approach, The Paleo Approach Cookbook, and The Healing Kitchen. The Paleo Approach continues to be the definitive guide to the Autoimmune Protocol. You can read more about Dr. Sarah here. The next session of this 6-week online course begins Monday, September 9th, 2019. Every Monday, a new module containing 7 topics, each with a video lecture (averaging 2 to 3 hours total per week), recommended reading, relevant printables, relevant action steps, and self-discovery exercise will unlock. Proceed through the content at your own pace. Twice weekly discussions will be led in a private Facebook group to accompany that week’s lectures as well as once weekly Facebook video FAQ with Dr. Sarah Ballantyne. The private Facebook group is also where you can ask questions and connect with other students. You will automatically receive an invite to the Facebook group a few days before the course begins (you will be prompted to supply the e-mail address that your Facebook account is linked to at checkout). Can’t start right on September 9th? No problem! Once a module unlocks, you will have lifetime access to it (plus any future updates or additions), so you can fit this course into your schedule! You can access the course at any time by logging in under “My Account” at the top of ThePaleoMom.com homepage and selecting “AIP Lecture Series” under “My Courses”. This class was exactly what I hoped it would be: informative, engaging, challenging (in a good way). But it went even further than my expectations with the depth of the information, engagement with other classmates, and most importantly the interaction with Dr Sarah Ballantyne herself and the wealth of knowledge she possesses. I can’t believe 6 weeks is over and I can’t believe how much more understanding I now have. An incredible investment in taking back health. I would recommend this class to those new to AIP as well as those who have been AIP for some time already. You’ve done an amazing job on this course and so grateful I got in the first time around! The platform is easy to use and follow and so colorful. I used my family’s Christmas money to get this course because I knew it would be awesome and felt the best gift I can give them is my health, to be present to care for them. What I didn’t expect is that I’m using this knowledge to help them be healthier too! It’s the gift that keeps on giving! I am thrilled that I took the plunge and signed up for this course. It will be my rock as I go forward on this autoimmune journey. I am hoping that its emphasis on science will help me convince others who struggle, especially my family, that there really is a way to combat autoimmune disease! I can’t believe that I even hesitated to enroll in the “AIP Lecture Series”! Even though I’ve been following the AIP guidelines really well and have read your book, I’m still gleaning so many nuggets of gold in this online course. I’m learning much more than I ever imagined I would. I’m enjoying all the science behind AIP that you explain so well in the videos. I can’t believe the boost it has given me to be even more vigilant as to what I place in my mouth because I now understand better the important role that food has in my body. Thank you so much, Sarah Ballantyne. This is such a life changing gift and inexpensive course for everything you are so graciously sharing with us! The tuition for this high-quality, comprehensive 6-week online course is $499. Other online courses with similar quantity and quality of content sell for $799 or more (some are upwards of $2k! ), so this is a fantastic deal! This includes lifetime access to all of the course materials, any future updates or additions, and all of the discussions and materials shared in the private Facebook group for your session. Learn More About the AIP Lecture Series! Thanks to Dr. Sarah Ballantyne and this amazing course, I went ALL IN AIP last Sunday morning. That’s one full week, and I haven’t looked back! All of this incredible information and support has been so motivating. Dr. Sarah, I can’t even believe your immense knowledge, compassion, and generosity to help all of us in this very personalized way. You are so encouraging and patient as you answer our questions and cheer us on. You are a mentor and inspiration to me, and I want you to know that you have impacted my life through this course in such a big way. I want to use your example to help those that I serve in my own life and profession with a more open heart than I ever have before. What you have taught me is more than about food, disease, and my body… you have taught me how to hope and dream big things for myself. You are living your purpose, and I want to be a better person because of you. Thank you, thank you for this course. The Autoimmune Protocol Lecture Series has been a great experience which has provided the in depth science that I was looking for to take me back to Paleo and on my way to AIP. I am getting closer to full AIP and look forward to the benefits of doing so. Sarah’s passion for this subject is contagious and makes you excited to learn and start implementing the protocol. The format of the lecture series encourages study, reflection, and action. Wonderful course! I highly recommend it!! There are twice weekly discussions led in a private Facebook group to accompany each week’s lectures as well as a once weekly Facebook video FAQ with Dr. Sarah Ballantyne. The private Facebook group is also where you can ask questions and connect with other students. You will automatically receive an invite to the Facebook group a few days before the course begins (you will be prompted to supply the e-mail address that your Facebook account is linked to at checkout). At the end of each week/module, there is an interactive quiz so that you can test your understanding of that week’s content. This course is much more than I had hoped. As a 3 plus year veteran of AIP, I wasn’t sure if the course would be a lot of what I already know. But the depth of information, practical tips, and the accessible way you show me how to apply complex science to improve my health is truly remarkable. If you are anything like me, working your way on your own through Dr. Sarah Ballantyne’s books, The Paleo Approach and Paleo Principles, can seem a bit overwhelming. The AIP Lecture Series has been the perfect solution for me. The weekly lectures and reading are manageable and Dr. Sarah has been there to answer specific questions that came up each week. The weekly FAQ videos were a genius addition. When I started the course, I was not new to AIP and yet the confidence I have gained in making food choices to maximize nutrition (loved the micronutrients tracking activity) has already changed how I am eating. The list of nutrient superstars is taped up inside my pantry and I ask myself every meal if I am eating the rainbow. Before the AIP Lecture series I knew wanted to know more about how all of the pieces of the AIP worked together in order to not only do my own work in healing but to actually partner with my doctor. As we near the end of week six, I am confident in my ability to advocate for my health and look forward to my next physical. Dr. Sarah Ballantyne, thank you for the wealth of knowledge and incredible support! I just completed watching the last video. I am sad it is over as this lecture series has been very instrumental in my day to day motivation and understanding of the Autoimmune Protocol. I have been AIP for almost 2 years, discovering the ins and outs via your wonderful books, as well as AIP support groups that I am involved with. Your lecture series reassured me that the challenges I have faced along the way are normal and that my thoughts and decisions pertaining to this journey are on course. You cleared up many questions I have had along the way, and gave me the reassurance that I am on the right track. Your knowledge amazes me and your presentation of these lectures astounded me. Thank you for all you have done for so many people by using your own experiences to help others with your research and devotion to this incredible way of life. Thank you! As always so informative! Thank you for being so engaged and responsive to this class. Even though I have been AIP for a few years, I am surprised at how much I am learning. This is great. How much time will I need to dedicate to this course each week? Each week contains 2-3 hours of video lectures, 1-2 hours worth of recommended reading, and the self-discovery exercises will take about 1 to 1.5 hours per week. It takes most students 6 to 8 hours to go through the content for each week. Time spent implementing the Autoimmune Protocol is not accounted for in these estimates. This is a self-directed course, so you may proceed through the topics at your own pace. Once each week/module is unlocked, you will retain lifetime access. If you don’t already have an account, you will be asked to create one at checkout. Simply log in to your account by clicking on “My Account” at the top of ThePaleoMom.com homepage and select “AIP Lecture Series” under “My Courses”. Then scroll own to click on the main module for each week as it unlocks, which takes you to an intro page for that module with links for each lecture. You will also receive e-mail reminders with direct links to modules as they unlock every Monday during the course session. Will I get 1-on-1 support on my AIP journey? No, while you are able to ask Dr. Ballantyne your individual questions within the online forum, the AIP Lecture Series is an educational program and not a coaching program. If you are interested in personalized guidance through transition to the Autoimmune Protocol by a certified health coach in a group setting, I highly recommend the SAD to AIP in Six program, which has an amazing track record. If you are interested in working 1-on-1 with a qualified coach, check out the directory of AIP Certified Coaches. Will this Lecture Series help me use the AIP when I work with clients? No, this is not a practitioner training program. If you are interested in becoming an AIP Certified Coach, sign up to my mailing list here and make sure that you click on “update preferences” at the bottom of every mailing to let me know that you are a healthcare professional. Can I get CE credits for this course? If you are an NTA graduate, you can get CE credits for taking the AIP Certified Coach course. The AIP Lecture Series is not affiliated with any educational institutions. Are there prerequisites or minimum requirements? The only prerequisite is an interest in understanding the ins and outs of the Autoimmune Protocol. I generally assume 10th grade science as a background for how I structure the lectures. While they do go into a great deal of scientific detail, these are lectures designed for the general (if nerdy) public. Will this course provide recipes and meal plans? Recipes and meal plans are not included in this course. If you are interested in AIP recipes and meal plans, I recommend purchasing either of my AIP cookbooks, The Paleo Approach Cookbook or The Healing Kitchen or subscribing to Real Plans as an adjunct to this course. The private Facebook group for this course is your only forum for asking questions. You will automatically receive an invite to the Facebook group a few days before the course begins (you will be prompted to supply the e-mail address that your Facebook account is linked to at checkout). A moderator will be available to answer questions relevant to the course material (the moderator can not provide coaching, individual consulting, or answer questions that should be directed to your healthcare provider). This group will also feature twice weekly discussions relevant to that week’s lecture topics (posted on Mondays and Thursdays), and a once weekly live FAQ with Dr. Sarah Ballantyne (posted on Saturdays). Joining and participation in this group is optional. Can I share my login info with a friend or family member? Just like if you were taking a college course, each participant must enroll separately. There is a strict policy of admitting only one person per enrollment into the private Facebook Group. The course has already started, can I still join? Three days after the start of each session, registration closes. No exceptions will be made. You may register for the next session of the course. I want to take this course but start on a later date… is that possible? Absolutely! The first module will still unlock on the session start date with subsequent modules unlocking each week afterwards. However, once unlocked, you have lifetime access, so you can start whenever you’re ready and proceed through the content at your own pace! Another option is to wait for the next session, date TBD. If you are having technical difficulties logging in or accessing the course, please e-mail [email protected] with the subject line “AIP Lecture Series help”. For questions related to course content, please join the private Facebook group. Lifestyle versus Diet: What’s More Important?